We will be extending the deadline of our Excel Dashboard Competition by two weeks to 15 June. So you still have a chance of winning the iPhone or the InfoVis workshop. 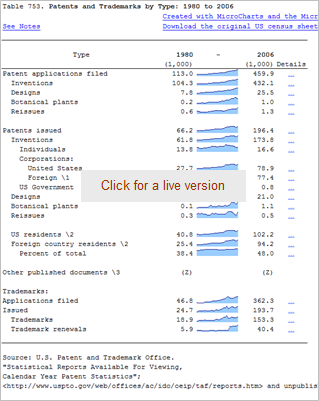 FlowingData came up with the nice idea of building a visual display or the hundreds of data sets available in the U.S. Census 2008 Statistical Abstract. it with MicroCharts, added a detail chart and published it to the Web.